Do you remember, or have you at least heard of the old game show “Let’s Make a Deal”? This was the show where a contestant had to opportunity to win a car. All they had to do was guess which door the new car was behind. Two of the doors had a farm animal but there was a trick to it. 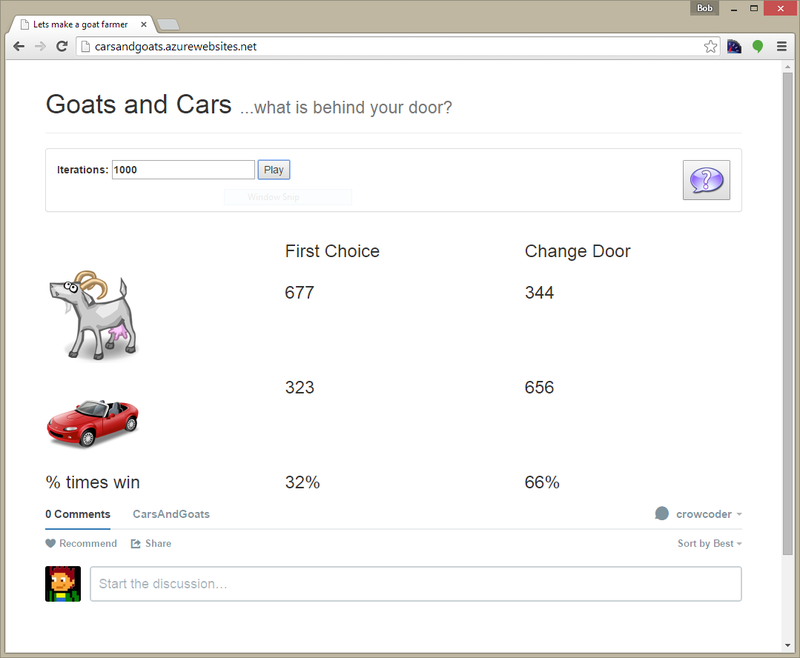 After choosing a door, the contestant was shown one of the farm animals and then had to decide to stick with their first choice or switch their guess to the door they didn’t choose. What do you think the chances are of winning when keeping the first choice versus switching guesses?